Some of you have asked about my name, or at least said that they were wondering. My real name is Nathalie. It is pronounced Nath - a - lee, NOT Nat - a - lee. I was named after my Mother's best friend. Please do not call me Nat, or think of me in those terms. Nath, or Nathi is okay. I hate being called NAT with a passion. A gnat is a little bug that flies in your face and is very annoying. My nickname is Cynaemon, which is an anagram of all of my names. PINTEREST SWAPPERS - PLEASE NOTE - All of my boards will be Middle Earth related. I really love putting together my boards, and when I signed up for Pinterest it was my intention to make most of my boards Middle Earth/Lord of the Rings/Hobbit related. I don't want anyone to be disappointed in the boards that I do. I really enjoy putting my boards together.It is a great hobby for me and is my escape from my boring and humdrum life. Absolutely love anything Middle Earth related, especially Silmarillion, and Lord of the Rings. Not so fond of the Hobbit. Please do not send me anything breakable. Hi, I want to thank this community for the warm welcome and encouragement I have received. I have tried to clear up the many ones I have, but most people from way back then are no longer active on swapbot. There is only one which is, and she refuses to contact me despite that fact that I have sent her the swap, and also PM'd her. I really don't know what else to do. IF I FORGET TO RATE YOU, PLEASE PM ME AND REMIND ME. THANKS. As you can see I have come a long way since I came back. The recent threes are upgrades from some of the ones from the past, and I do not blame those people for giving me threes, as it was over a year before they received their items. Other people were generous to give me 5's. If you have any questiosn about my account, please PM me. Thanks. Comment: I very much appreciate you coming back to SB and surprising me with the altered book summer journal. Love how you used the children's book as the foundation. May you have many happy summers to come. Response: Hi, Crescendo, Thanks so much. It is good to be back. And I am glad you liked the journal. I had very happy memories of you and I so enjoyed making it for you. Rating: 3 Comment: beautiful journal. Response: Hi, Joyce, Thanks so much for your re-rating. I am glad you liked the journal. Response: Thanks so much. I really enjoyed putting it together for you, and glad you liked the format. Handel's Suite in D Minor for piano, especially the third movement - Sarabande. Favorite singer is Ke'alii Reichel. Don't really have any favorite movies. Survivor, Amazing Race, Big Brother. Looking through my profile at the ones that I have, and it occurs to me that I do not have that many open or unsent swaps, therefore I should not have that many ones. After careful inspection, I find that a lot of the swaps I sent out were never re-rated from a 1 to a 3 or 5. After further investigation, I find that many of these people have not been on Swapbot for many years. It is my understanding that even if you send a swap out late your partner should at least rate you a three, since they have received the swap. Obviously many people do not give people even that little bit of respect. So I am posting all the swaps I have been in and sent out which were not re-rated, as they should have been. Also, it is my understanding that people should at least give you a chance to send out a swap, and a chance to be re-rated. Obviously there are people who who do not feel they need to abide by that rule either. YOU KNOW WHO YOU ARE! Certainly you can still choose to not have me participate in your swap. Fine. That is your choice and your loss. Comment: Your quote is so lovely. It is now one of my new favorites too. Thank you for sharing. I liked the postcard as well. Response: Thank you. I am so glad you liked that quote. I have done it in my art journal numerous times. Comment: Thank you so much for the pictures. I loved them. Comment: Thank you for sharing. Love your poem. It seems very personal and beautifully reflecting feelings. I once heard the theory that you are not able to read in your dreams because part of the brain that is responsible for recognizing letters is inactive. It's obviously not true ;) Have a nice day! Comment: Thank you! The keep hidden one was funny. Comment: Whoops! I forgot to rate this when I got it. I'm excited hear about your project! Good luck this month. You got this! Comment: Thank you so much for sharing this story. I'm so glad the kitty is okay and that the worker will at least get something from Go Fund Me. Response: You're welcome. I was very happy for the kitty. Comment: Thanks for sharing your weird words and explaining why you liked them! I don't know a lot of about Lord of the Rings and Middle Earth but what I have seen I rather enjoyed. I thought this GIF was rather beautiful, hope you like it and happy swapping. Here a little message for you. I also enjoy the Harry Potter stories and Lord of the Rings movies. This time of the year they mostly broadcast these on our television. Love it! Wishing you a wonderful Christmas and a healthy, creative and wonderful 2019. Hi! I apologize for this swap being a day late, but I hope you are having an amazing day! I also love big brother, and if you would ever like to discuss what we think of each of the people, feel free to pm me! The human had to work today. She said it was very nice though. She plays the piano. I love to play the piano as well. She hopes you had a nice Sunday. Etele. 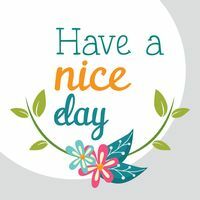 I hope you have a nice day!! The weather here has been cold at night and warm during the afternoons! I hope your good! I am okay! The humans kidnapped and drugged me. I awoke to find myself on their private yacht, heading south to an unknown destination. The human says she is glad the rains are over. He lawn looks beautiful.